Two Catholic priests celebrating mass. The ministerial orders of the Roman Catholic Church are those of bishop, presbyter (more commonly called priest in English), and deacon. The ordained priesthood and the common priesthood (or priesthood of all the baptized faithful) are different in function and essence. The Catholic Church teaches that when a man participates in priesthood, he participates in the priesthood of Christ Himself. All men who, through the Sacrament of Holy Orders, have become priests participate in Christ's priesthood; they act in persona Christi Capitis, in the person of Christ, the Head of His Body, the Church. The state of consecrated life or monasticism is a separate, third distinct vocational state from the clergy and the laity. As an overview, there are the members of the laity- who are married or unmarried, and the clergy- the bishops, priests, and deacons. 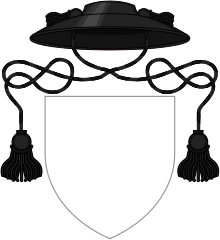 Deacons are male and usually belong to the diocesan clergy, but, unlike almost all Latin-rite (Western Catholic) priests and all bishops from Eastern or Western Catholicism, they may marry as laymen before their ordination as clergy. Members of institutes of consecrated life, or monks, can be either clergy or non-ordained members of the religious order (male or female non-ordained religious are not to be considered laypersons in the strict sense- they take certain vows and are not free to marry once they have made solemn profession of vows; all female religious are non-ordained, they may be sisters living to some degree of activity in a communal state, or nuns living in cloister or some other type of isolation). The male members of religious orders, whether living in monastic communities or cloistered in isolation, and who are ordained priests or deacons constitute what is called the religious or regular clergy, distinct from the diocesan or secular clergy. Those ordained priests or deacons who are not members of some sort of religious order (secular priests) most often serve as clergy to a specific church or in an office of a specific diocese or in Rome. The Old Testament describes how God made his people "a kingdom of priests and a holy nation," and within the twelve tribes of Israel, the tribe of Levi was chosen to be set apart for the liturgical service of offering sacrifice as priests. The priest was understood as a mediator between God and human beings who offers sacrifices and intercedes for the people. The New Testament depicts Jesus as the "great high priest" of the New Covenant who, instead of offering the ritual animal sacrifices prescribed by the Jewish Law, offers himself on the cross as the true and perfect sacrifice. The Catholic priesthood is a participation in this priesthood of Christ, and therefore traces its origins to Jesus Christ himself. Thus, the New Testament says that as high priest, Jesus has made the Church "a kingdom of priests for his God and Father." All who are baptized are given a share in the priesthood of Christ; that is, they are conformed to Christ and made capable of offering true worship and praise to God as Christians. "The whole community of believers is, as such, priestly." The ministerial priesthood of Catholic priests and bishops — what most people think of as "the Catholic priesthood" — has a distinct history. This ministerial priesthood is at the service of the priesthood of all believers and involves the direct consecration of a man to Christ through the sacrament of orders, so that he can act in the person of Christ for the sake of the Christian faithful, above all in dispensing the sacraments. It is understood to have begun at the Last Supper, when Jesus Christ instituted the Eucharist in the presence of the Twelve Apostles, commanding them to "do this in memory of me." The Catholic priesthood, therefore, is a share in the priesthood of Christ and traces its historical origins to the Twelve Apostles appointed by Christ. Those apostles in turn selected other men to succeed them as the bishops (episkopoi, Greek for "overseers") of the Christian communities, with whom were associated presbyters (presbyteroi, Greek for "elders") and deacons (diakonoi, Greek for "servants"). As communities multiplied and grew in size, the bishops appointed more and more presbyters to preside at the Eucharist in place of the bishop in the multiple communities in each region. The diaconate evolved as the liturgical assistants of the bishop and his delegate for the administration of Church funds and programmes for the poor. Today, the rank of "presbyter" is typically what one thinks of as a priest, although technically both a bishop and a presbyter are "priests" in the sense that they share in Christ's ministerial priesthood and offer sacrifice to God in the person of Christ. Ordination to the priesthood (Latin rite). Devotional card, 1925. In Christian theology, Jesus is the Lamb provided by God himself as a sacrifice for the sins of the world. Before his death on the cross, Jesus celebrated the Passover with his disciples (the Last Supper) and offered blessings over the bread and wine respectively, saying: "Take and eat. This is my body" and "Drink from this all of you, for this is my blood, the blood of the covenant, poured out for the forgiveness of sins." (Matthew 26:26b-28 Jerusalem Bible). The next day Christ's body and blood were visibly sacrificed on the cross. Catholics believe that it is this same body, sacrificed on the cross and risen on the third day and united with Christ's divinity, soul and blood which is made present in the offering of each Eucharistic sacrifice which is called the Eucharist. However, Catholicism does not believe that transubstantiation and the doctrine of the real presence of Christ in the Eucharist involves a material change in the 'accidental' features: i.e. under normal circumstances, scientific analysis of the Eucharistic elements would indicate the physical-material properties of wine and bread. Thus Catholic priests, in presiding at the Eucharist, join each offering of the Eucharistic elements in union with the sacrifice of Christ. Through their celebration of the Holy Eucharist, they make present the one eternal sacrifice of Christ on the cross. Catholicism does not teach that Christ is sacrificed again and again, but that "The sacrifice of Christ and the sacrifice of the Eucharist are one single sacrifice.". Instead, the Catholic Church holds the Jewish concept of memorial in which "..the memorial is not merely a recollection of past events....these events become in a certain way present and real." and thus "...the sacrifice Christ offered once and for all on the cross remains ever present." Properly speaking, in Catholic theology, expressed by Saint Thomas Aquinas, "Only Christ is the true priest, the others being only his ministers." Thus, Catholic clergy share in the one, unique, Priesthood of Christ. The Canon law of the Catholic Church holds that the priesthood is a sacred and perpetual vocational state, not just a profession (which is a reason for, and symbolized by, the state of celibacy). There are programs of formation and studies which aim to enable the future priest to effectively serve his ministry. These programs are demanded by canon law (in the Latin rite, canons 232–264) which also refers to the Bishops' Conferences for local more detailed regulation. As a general rule, education is extensive and lasts at least five or six years, depending on the national Programme of Priestly Formation. In the United States, priests must have a four-year university degree in philosophy plus an additional four to five years of graduate-level seminary formation in theology with a focus on Biblical research. A Master of Divinity is the most common degree. In Germany and Austria, priest candidates graduate with an academic degree (Magister theologiae, Diplom-Theologe, Master of Arts in Theology). The degree takes five years' and is preceded by a year of spiritual formation (plus learning of the ancient languages) and followed by two years of pastoral practice (during which the candidate is ordained to the deaconate). Usually, priests spend all of that time in a seminary except one "free year". Regardless of where a person prepares for ordination, it includes not only academic but also human, social, spiritual and pastoral formation. The purpose of seminary education is ultimately to prepare men to be pastors of souls. In the end, however, each individual Ordinary (such as a bishop or Superior General) is responsible for the official call to priesthood, and only a bishop may ordain. Any ordinations done before the normally scheduled time (before study completion) must have the explicit approval of the bishop; any such ordinations done more than a year in advance must have the approval of the Holy See. The Rite of Ordination is what "makes" one a priest, having already been a deacon and with the minister of Holy Orders being a validly ordained bishop. 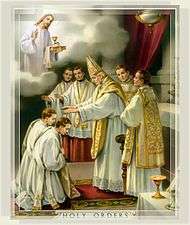 The Rite of Ordination occurs within the context of Holy Mass. After being called forward and presented to the assembly, the candidates are interrogated. Each promises to diligently perform the duties of the Priesthood and to respect and obey his ordinary (bishop or religious superior). Then the candidates lie prostrate before the altar, while the assembled faithful kneel and pray for the help of all the saints in the singing of the Litany of the Saints. The essential part of the rite is when the bishop silently lays his hands upon each candidate (followed by all priests present), before offering the consecratory prayer, addressed to God the Father, invoking the power of the Holy Spirit upon those being ordained. After the consecratory prayer, the newly ordained is vested with the stole and chasuble of those belonging to the Ministerial Priesthood and then the bishop anoints his hands with chrism before presenting him with the chalice and paten which he will use when presiding at the Eucharist. Following this, the gifts of bread and wine are brought forward by the people and given to the new priest; then all the priests present, concelebrate the Eucharist with the newly ordained taking the place of honour at the right of the bishop. If there are several newly ordained, it is they who gather closest to the bishop during the Eucharistic Prayer. Do not neglect the gift you have, which was conferred on you through the prophetic word with the imposition of hands of the presbyterate." The Calling of the Candidates: Those to be ordained are called by name, they stand in their place and answer: "Present". Vocation Director: Most Reverend Father, Holy Mother Church asks you to ordain these, our brothers, to the responsibility of the Priesthood. Bishop: Do you know them to be worthy? Vocation Director: After inquiry among the Christian people and upon the recommendation of those responsible, I testify that they have been found worthy. Bishop: Relying on the help of the Lord God and our Savior Jesus Christ, we choose these men, our brothers, for the Order of the Priesthood. All: Thanks be to God. (Applause). Bishop: My dear sons, before you enter the Order of the Priesthood, you must declare before the people of God your intention to undertake this office. Do you resolve, with the help of the Holy Spirit, to discharge without fail the office of Priesthood in the presbyteral rank, as worthy fellow workers with the Order of Bishops in caring for the Lord's flock? Bishop: Do you resolve to exercise the ministry of the word worthily and wisely, preaching the Gospel and teaching the Catholic faith? Bishop: Do you resolve to celebrate faithfully and reverently, in accord with the Church's tradition, the mysteries of Christ, especially the Sacrifice of the Eucharist and the Sacrament of Reconciliation, for the glory of God and the sanctification of the Christian people? Bishop: Do you resolve to implore with us God's mercy upon the people entrusted to your care by observing the command to pray without ceasing? Bishop: Do you resolve to be united more closely every day to Christ the High Priest, who offered himself for us to the Father as a pure Sacrifice, and with him to consecrate yourselves to God for the salvation of all? Elect: I do, with the help of God. Each of the candidates goes to the Bishop and, kneeling before him, places his joined hands between those of the Bishop. Bishop: Do you promise respect and obedience to me and my successors? Bishop: May God, who has begun this good work in you bring it to fulfillment. Laying on of Hands: The Bishop first lays hands on the head of each candidate, followed by the concelebrating priests and all the priests present. Anointing of Hands: The Bishop receives the linen gremial and anoints with Sacred Chrism the palms of each new priest as he kneels before him. The Bishop stands and gives the kiss of peace to the new priests, followed by the concelebrants and all the priests present. The Liturgy of the Eucharist (the Preparation of the Altar, the Sanctus, the Memorial Acclamation, the Great Amen, the Lamb of God (Agnus Dei), the Communion Antiphon and Hymn, and the Prayer after Communion and Solemn Blessing and Dismissal) then proceeds as normal, with the newly ordained to the immediate right of the Bishop and the other celebrants. The earliest Christians were Jews and Jewish tradition has always deemed the married state as more spiritual than the celibate state. Christian tradition places a high valuation on chastity as a special gift of God. The life of a priest involves being conformed to Christ. It is known that the Apostle Peter had a spouse from Gospel stories of Peter's mother-in-law sick with fever (Matt 8:14, Mark 1:29, Luke 4:38) and from Paul's mention that Peter took along a believing wife in his ministry (1 Cor 9:5). From its beginnings, the idea of clerical celibacy has been contested in canon courts, in theology, and in religious practices. Celibacy for Roman Catholic priests was not mandated under canon law for the universal church until the Second Lateran Council in 1139. The Council of Elvira in Spain (approximately 305-306) was the first council to call for clerical celibacy. In February 385, Pope Siricius wrote the Directa decretal, which was a long letter to Spanish bishop Himerius of Tarragona, replying to the bishop’s requests on various subjects, which had been sent several months earlier to Pope Damasus I. It was the first of a series of documents published by the Church's magisterium that claimed apostolic origin for clerical celibacy and reminded ministers of the altar of the perpetual continence required. 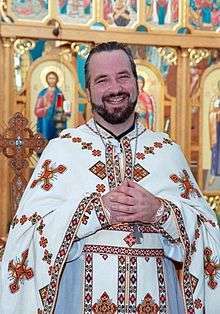 A Ukrainian Catholic priest at a St. Joseph the Betrothed Ukrainian Greek Catholic Church (His wedding ring appears on his right hand as per Byzantine tradition). Within a century of the Great Schism of 1054, the Churches of the East and West arrived at different disciplines as to abstaining from sexual contact during marriage. In the East, candidates for the Priesthood could be married with permission to have regular sexual relations with their wives, but were required to abstain before celebrating the Eucharist. An unmarried person, once ordained, could not marry. Additionally, the Christian East required that, before becoming a bishop, a priest separate from his wife (she was permitted to object), with her typically becoming a nun. In the East, more normally, bishops are chosen from those priests who are monks and are thus unmarried. In the West, the law of celibacy became mandatory by Pope Gregory VII at the Roman Synod of 1074. This law mandated that, in order to become a candidate for ordination, a man could not be married. The law remains in effect in the West, although not for those who are Eastern Rite Catholic clergy, who remain under the ancient Eastern discipline of sexual abstinence before celebration of the Liturgy, as do Eastern Orthodox priests. 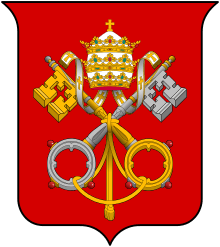 The issue of mandatory celibacy continues to be debated, though successive popes have declared that the discipline will not change. Three main aspects to the priesthood: offering the Eucharist, hearing confessions, and counseling. Whilst continuing to hold the importance of these three aspects of priesthood, the church now has a significantly broader understanding. Priests are also responsible for daily recitation of the principal and minor offices of the Liturgy of the Hours. Priests are the only ministers of the Sacrament of Penance and Anointing of the Sick. They are the ordinary ministers of Baptism and witnesses to Holy Matrimony. 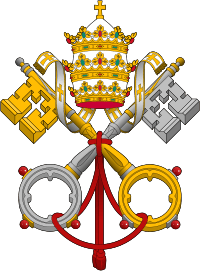 Although the Catholic Church is frequently referred to as the "Roman Catholic Church" it encompasses not only the Latin (i.e. the Western Church) but also twenty-three Eastern Churches (sui iuris). Thus, the disciplines, liturgical practices and ordering of the Catholic priesthood inevitably vary to some extent among the particular Churches which make up the Universal Church. Worldwide, the number of priests has remained fairly steady since 1970, decreasing by about 5,000. This stagnation is due to a balance of large growth in Africa and Asia and a significant decrease in North America and Europe. Includes both diocesan and religious priests. ↑ "Catechism of the Catholic Church - IntraText". Retrieved 2 July 2016. ↑ "Can a Woman Be a Priest in the Catholic Church?". Retrieved 2 July 2016. ↑ "Our Sunday Visitor Catholic Publishing Company > OSV Newsweekly > Daily Take". Retrieved 2 July 2016. ↑ "Code of Canon Law - IntraText". Retrieved 2 July 2016. ↑ Cf. Num 1:48-53; Josh 13:33. ↑ Hebrews 5:1-10; Catechism of the Catholic Church #1546. ↑ Rev 1:6; cf. Rev 5:9-10; 1 Pet 2:5,9. ↑ "CATHOLIC ENCYCLOPEDIA: Priesthood". Retrieved 2 July 2016. ↑ "Catechism of the Catholic Church - PART 2 SECTION 2 CHAPTER 1 ARTICLE 3". Retrieved 2 July 2016. ↑ "Catechism of the Catholic Church - The sacrament of Holy Orders". Retrieved 2 July 2016. ↑ "Presbyterorum ordinis". Retrieved 2 July 2016. ↑ "Code of Canon Law: text - IntraText CT". Retrieved 2 July 2016. ↑ "Current Sales Email Promotions - Christianbook.com". Retrieved 2 July 2016. ↑ Herbermann, Charles, ed. (1913). "Priesthood". Catholic Encyclopedia. New York: Robert Appleton Company. VISION Vocation Guide information about Roman Catholic priesthood and religious life with directory of men's religious communities and diocesan links.